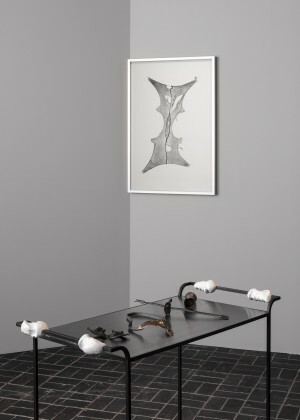 The integrity of boundaries has been an ongoing interest in Julia Phillips’ oeuvre; the artist’s ceramic sculptures and paper works examine the interrelated discourses of space, race, gender, and psychoanalysis, and critique how they work in service of the abuse of power. 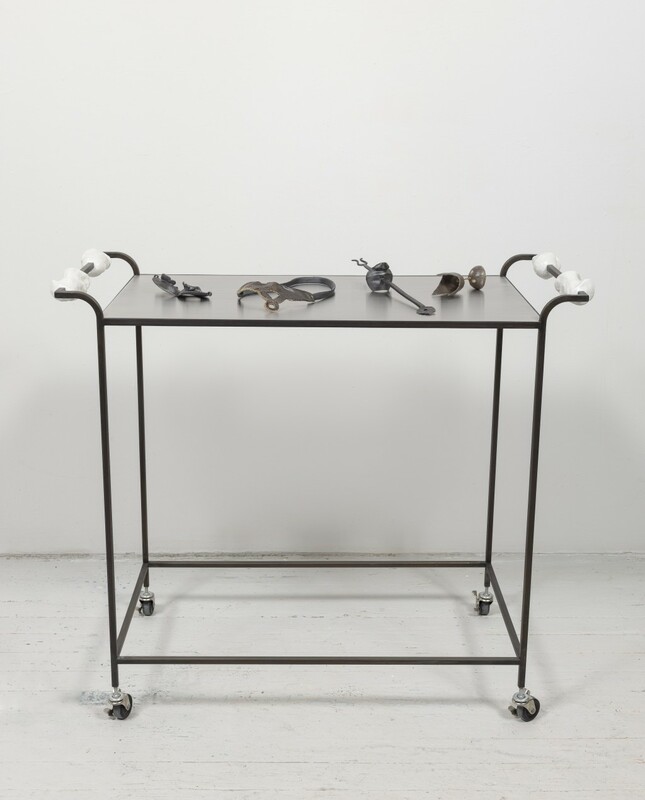 The delicate ceramic works that form part of Operator I (with Blinder, Muter, Penetrator, Aborter) (2017) were molded on the artist’s body; they rest on what looks like a brushed steel doctor’s trolley. 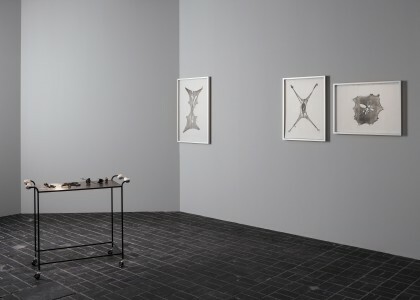 The works implicate the bodies of both the artist and the viewer as they reflect the history of medical violence perpetrated against black women’s bodies in the name of research. The broken hosiery in Expanded (2013–16), a series of prints produced with relief ink, reminds us of the protective role of pantyhose as a second skin, and through its rupture, of skin’s vulnerability. The works Operator I (with Blinder, Muter, Penetrator, Aborter) and Expanded disrupt the historical and phenomenological constructs through which the viewers order their physical and unconscious worlds.